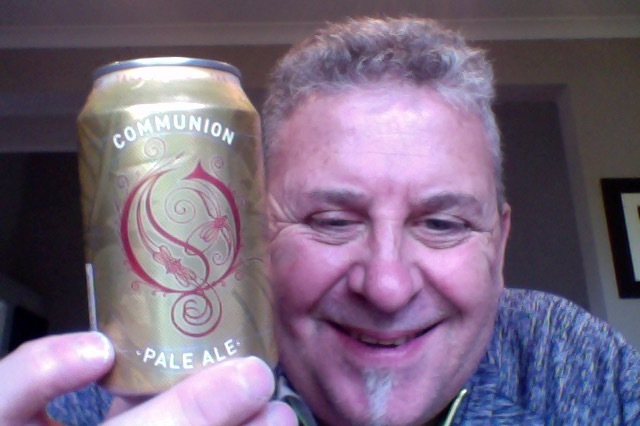 BeerJerkNZ beer of the week and it’s Northern Monk Communion. Brewed in collaboration with the legendary Swedish band Opeth. This is a 330ml can of a beer that is 5.1% ABV and 153 calories a serve, that makes it about 1.33 standard drinks in NZ . This is a collaboration between Northern Monk and Opeth the Swedish heavy metal band and is named after their 2014 album Pale Communion. Opeth are not renowned for the their subtle and delicate tastes so it will be no surprise that Communion makes liberal use of American hops to bring a lot of noise. Op opening I got an understand fruitiness. Cloudy bright orange pour with a lovely white head of substance and fluff. An understated fruitiness and some spice pepper going on i though. It’s just a bit well behaved and bit soft really, I was expecting something slightly more aggressive and tap tap tap on the palate, this is slightly fruity, a bit dry on the edge and even and balanced. I’m pretty sure this is exactly the beer the band thought of, it’s something that you’d easily enjoy often and regularly, it has enough flavour and enjoyment to be a staple, but that also makes it, for me, just a bit average, in a field where there a lot of contenders and takes on the style. Just like music I guess, something for everyone. Oh and I passed on the Metal, but I’ll get there later, of course. The pdubyah-o-meter rates this as 7 of its things from the thing. It’s pleasant enough and has some pleasant tasting flavours and offers just a little bit of edge but not so much that it lifts it to any great heights. Am I enjoying it? It’s pleasant enough. Would I have another? I wouldn’t pass it up. Would I share with a friend on a porch and set the world to rights? I don’t know that I’d buy it and take to a show and tell. Moss is een Nederlandse rockband. De band werd in 2003 in Amsterdam opgericht. Moss bestond destijds uit Marien Dorleijn, Bob Gibson, Jasper Verhulst en Finn Kruyning. 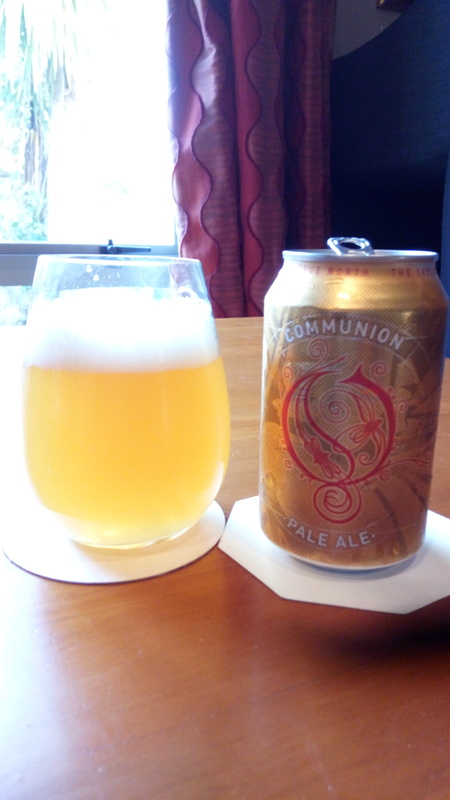 This entry was posted on December 2, 2016 by Philip Walter in American Pale Ale, Beer, Beer of England, Beer Review, Brewed By, Craft Beer, Critic, Justsaying, Northern Monk and tagged BeerJerkNZ, Northern Monk, orthern Monk Opeth Communion.